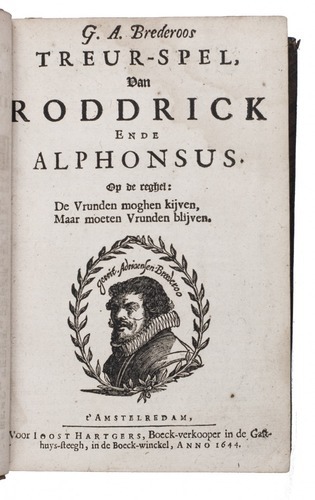 Alle de wercken, soo spelen, gedichten, brieven en kluchten. 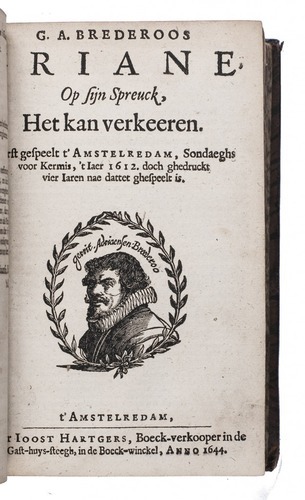 Amsterdam, Joost Hartgersz., 1644. 12 parts in 1 volume. 8vo. 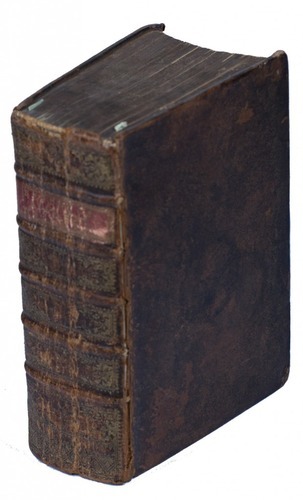 18th-century mottled calf, with gold-tooled spine and board edges. Hartgersz. 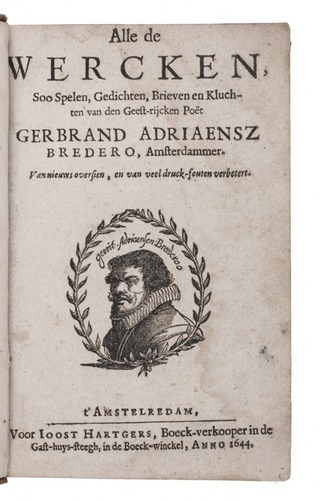 edition of the collected works of one of the most famous Dutch authors of the 17th-century, the poet and playwright Gerbrand Adriaensz Bredero (1585-1618), well remembered for his farcical plays, poems and songs. 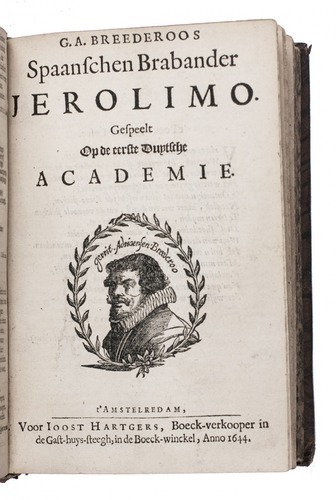 The subject of his plays was less the vicissitudes of protagonists and a study of their character than the vivid depiction of daily life in Amsterdam in the early 17th century. 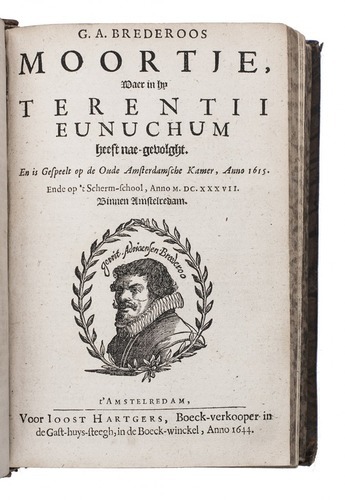 His work is very important for the study of Amsterdam dialect. Slightly damp stained, last leaf (with blank verso) cut out and mounted to a fly-leaf, otherwise still in good condition. Worn spine and one hinge cracked and nearly detached. STCN 850697484; Unger I, D.